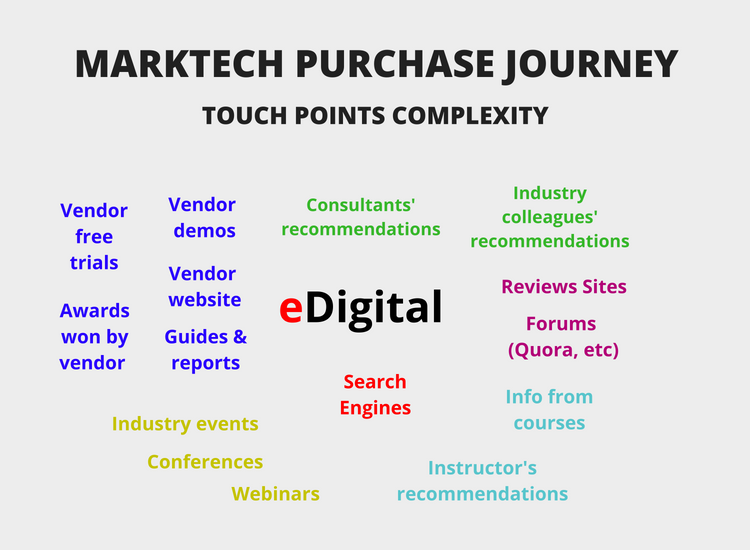 Whether you are a mark tech vendor or marketing services provider, you know how complex is to be part of the modern marketer’s purchase journey. To be successful at reaching, earning preference and encourage marketers to trial or purchase your products, your brand needs to be in the right places at the right time when marketers are looking for relevant advice, insights and information. Powered by our dedicated team of Digital Marketing Specialists, contributing writers and editors, we offer best practices and solutions most marketers are searching for. eDigital publishes niche, practical, actionable, carefully crafted content Digital Marketing content and amplify them across our website – with 230k+ visits a year – and to more than 10k+ followers combined on our social media channels. In only 4 years, eDigital. has become Australia’s Most Visited “Digital Marketing” site. We understand not only what marketers and business owners watch and read, but what they buy and how they think. Our content is originated, curated and SEO optimised by our team and contributors with additional material supplied by partners, advertisers, news desks and other digital marketing industry bodies. eDigital monitors and tracks 24/7 new digital marketing topics, challenges and issues to ensure Australian marketers and business owners get best practice, actionable tips and practical advice and stories they need and demand. eDigital takes insights on what Digital Marketing topics are trending on Google Search, Youtube, Facebook, Pinterest and Instagram, uncovering that social content that is resonating with marketers. Popular. Australia’s Most visited Digital Marketing site. 230k+ visits in the last year. Niche Destination. 4+ years creating only actionable and practical digital marketing content. Plenty of Quality Content. 1k+ relevant, carefully crafted Digital Marketing articles and well curated stories. Authoritative. More than 600+ Digital marketing related search term combinations on Google Page 1; offering SEO juicy backlinks to your site. Fresh Content. Every day our Digital Marketing Specialists and content creators publishing new interesting stories. Social. More than 10k combined followers in all our social media channels. We don’t pay for traffic. The way to create value for our readers is to engage and re-engage through content optimisation. What are the communication issues and challenges marketers and business owners want to solve with Digital Marketing? What are the top best practices and tips they all can action regardless their level of expertise with digital marketing? We optimise our content for that connection to problem solving. Our carefully crafted stories we published becomes relevant. 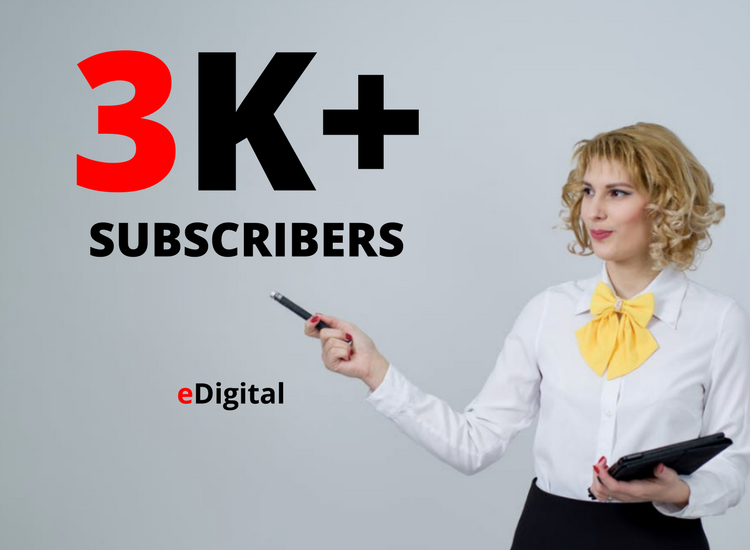 That’s how eDigital user base has grown to more than 230k+ in the last 12 months. If you provide a sensacional service or a proven solution to marketers; then we should talk! Top professions: Business owners, marketers and entrepreneurs. Gender: 51% female, 49% male. Top affinity categories: Arts, Entertainment, TV, Online Video, Travel, Sports. Top locations: AUS, USA & UK. We are proud media partners of some of the World’s Best Digital Marketing Conferences. This extra reach bring us new marketers to our website. Expert Q&A – Interview style article discussing a trendy/hot topic or disrupting topic. We can interview your CEO or Marketing Manager. Topic 101 – Promote an educational content piece that will help marketers new to your niche. Best of List (Top vendors). Have your company premium featured listed on one of our Best of Lists articles. Vendor Review – One of our Digital Marketers will test and review your service/product. It can include a review on your Facebook page and/or Google Business Listing. Exclusive eDM or eDM Sequences to our e-newsletter subscribers (More than 3000) Sample here. Display Banner Advertising. Only one exclusive ad in our weekly e-newsletter. Educational content. Exclusive content piece promoting your latest Guide, Report, WhitePaper or State of the Industry report. PR & News Amplification. Amplify your newsworthy story to our email subscribers or visitors. Clients use this to promote a new feature, Integration, Partnership or Acquisition. Price driven offers. Promote your specific offers, deals, promotions or discounts. Event promotion. Exclusive content promoting your upcoming event, ie, webinar, seminar or product launch event. Successful “Case Study” Amplification. A nice way to promote the work you have achieved for a happy client. “How to buy” Guides. You will be invited as a Guest Contributor to offer advice on how to choose a particular digital marketing tool. Infographic Amplification. Promote your infographic on eDigital website via an exclusive visually impactful article. “Back of House” article. Reporting from the view of a pro marketer about a specific topic, tool or challenge. Note: We work with you to find an angle that will make our readers or subscribers engage with your content. Our clients like to use different content options to fully generate extra reach and/or link them to any other “hero” campaign they are running on other media channels. Contact us to discuss your advertising needs and/or obtain our latest media kit.